We are the #1 fence company that residents depend on! We are prompt, offer great attention to detail, and we are always professional and neat with our installations. 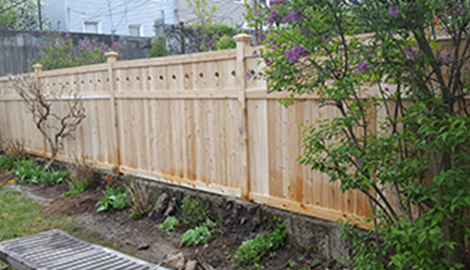 We are the fence builders of choice in Brooklyn, and we are here to meet or exceed all of your expectations. We can set you up with a great fence that you will be proud of for years to come. Call Now for our Spring PVC Fence Specials! ENERGY FENCING GETS IT DONE! 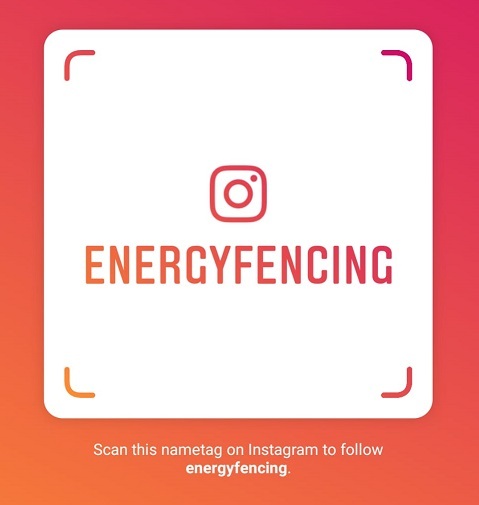 Welcome to our site at Energy Fencing of Brooklyn, NY. We are glad that you dropped by to learn a little more about what we do and some of the services that we provide to both home and business owners around the area. We have been in business for several years now, and you will find no better company when it comes to solving all of your fencing needs and requirements. We deal in all types fencing and fence installations, including the chain link and PVC fencing, and we are one the broadest line and most capable suppliers and installation companies in the area. We have built our reputation over the years a solid commitment to customer service and an unwavering level of quality products and installations. 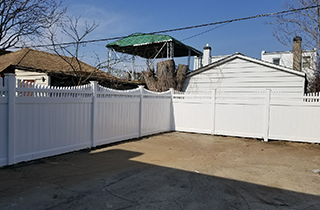 We sell and install just about any type of fencing that you will need for your home or business, and we specialize in chain link, PVC, wooden and construction fences. We install gates too! Each type fence has its advantages for certain applications, and we can help you determine which type of fencing solution might be best for your application. Chain link fencing has many advantages and is easy to install, less expensive than wooden or other types of fencing, and it is very easy to maintain. In fact, it really doesn't require much maintenance at all. Simple water and soap application are all that are required to keep it looking shiny and new. Likewise PVC fencing has its advantages as well. It looks great, is flexible and resistant to the harsh winters in the northeastern U.S.., and it never needs painting. PVC, which is a combination of vinyl and plastic, has been used for decades in plumbing applications because it doesn't break easily and it never rusts. Give us a call to discuss all of the great fencing options that we have here in Brooklyn at Energy Fencing.